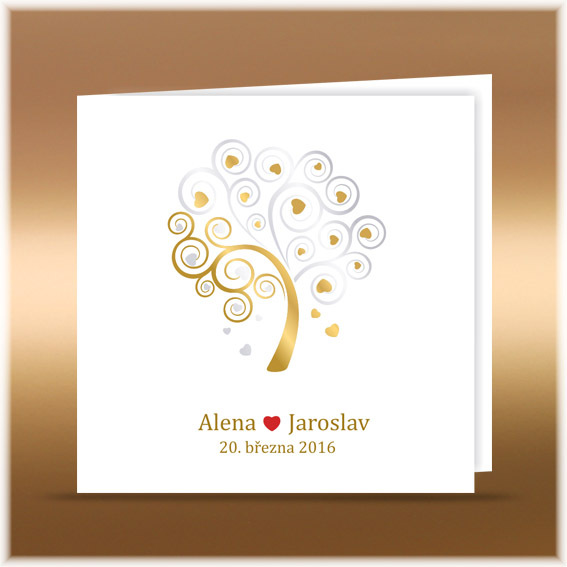 Modern wedding invitations with tree motive. The tree is printed in real shiny gold-silver color. Invitation opens from the side. Inside is a place for your text. Invitation is printed on a white smooth paper. Texts are printed in gold matte color.